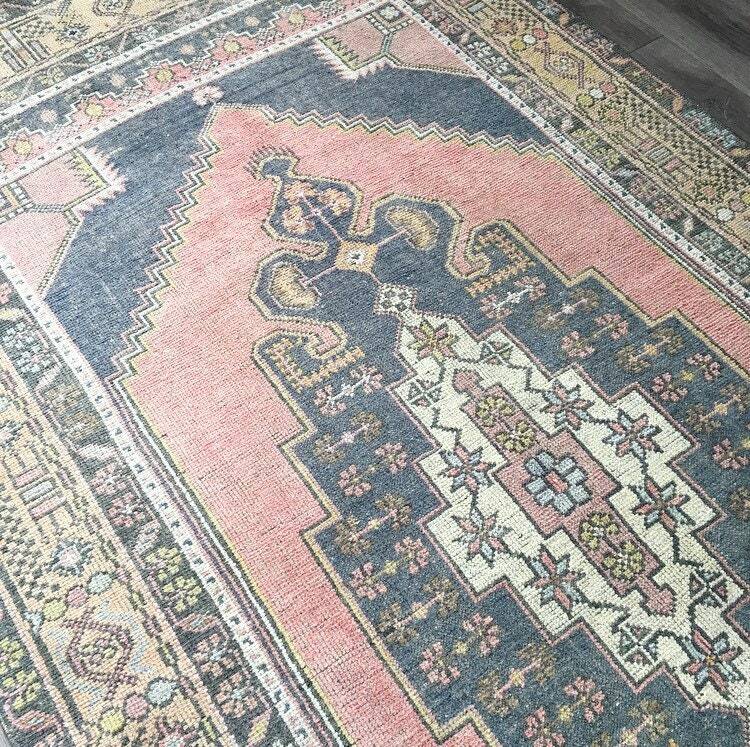 Equal parts classic rug design and contemporary whimsy. 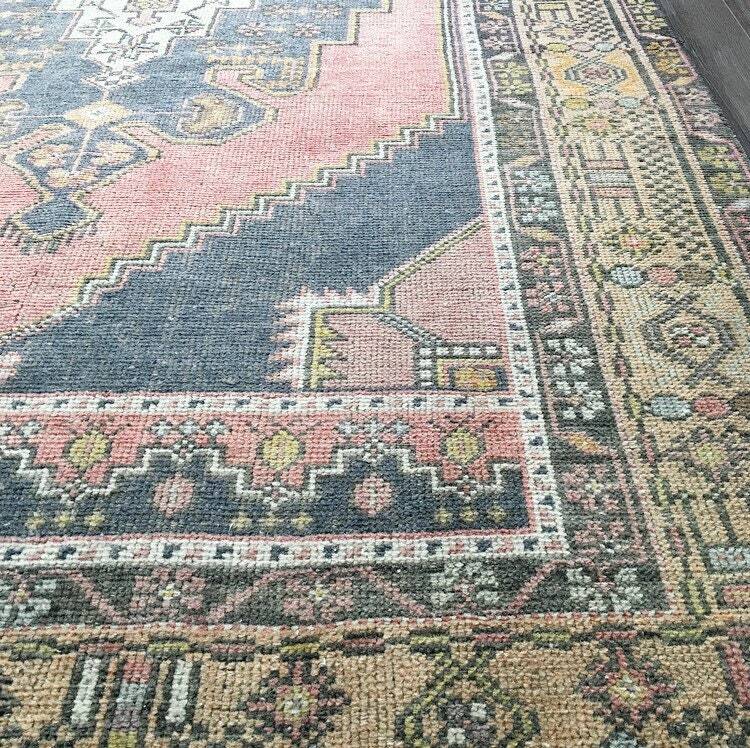 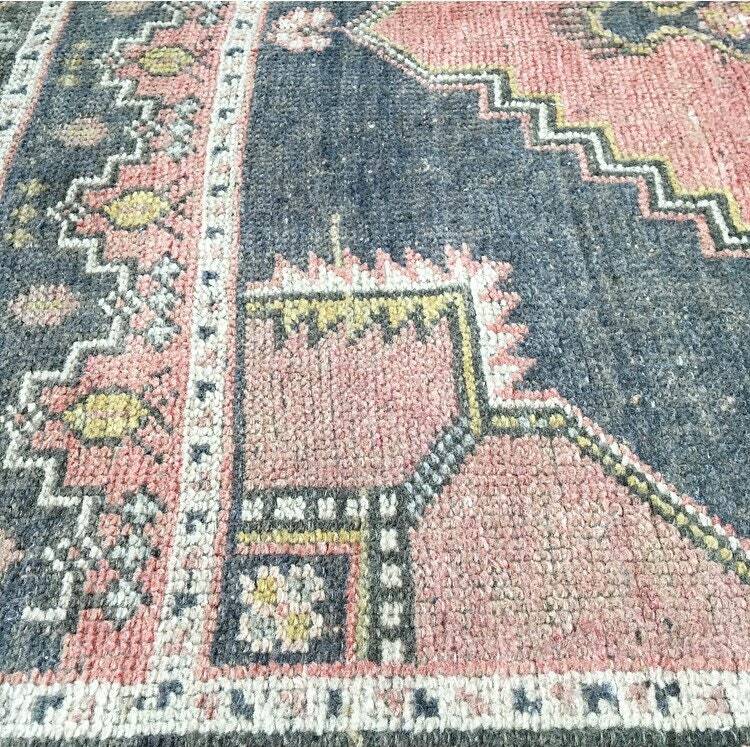 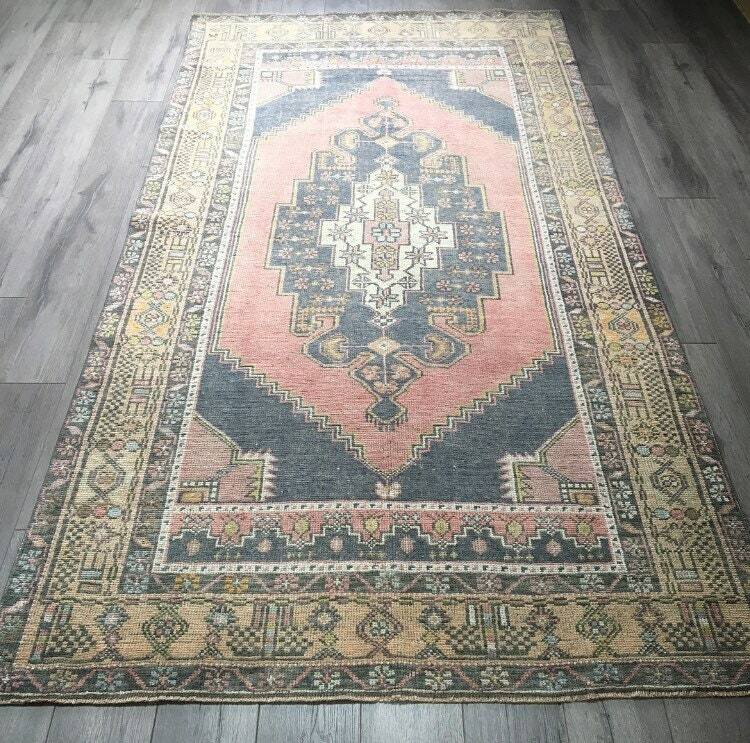 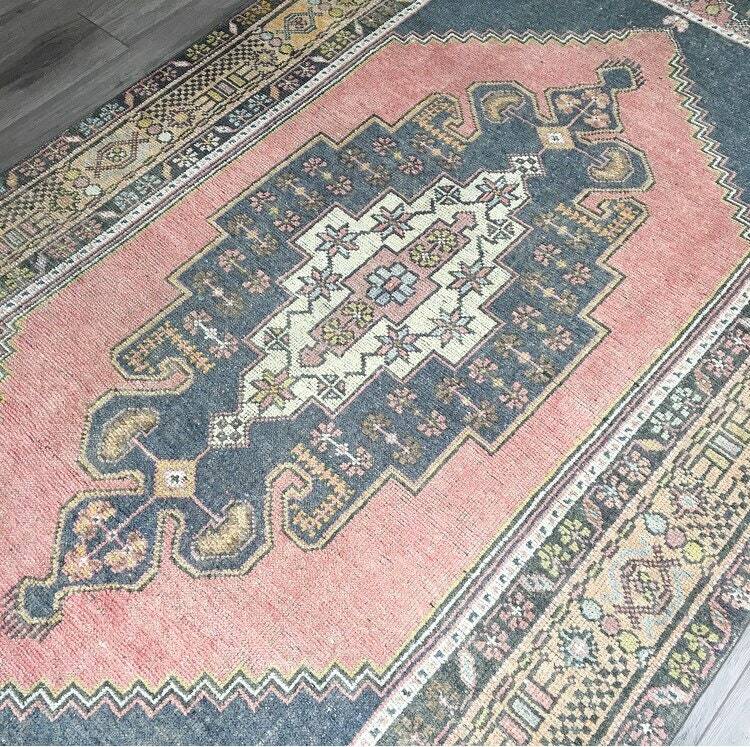 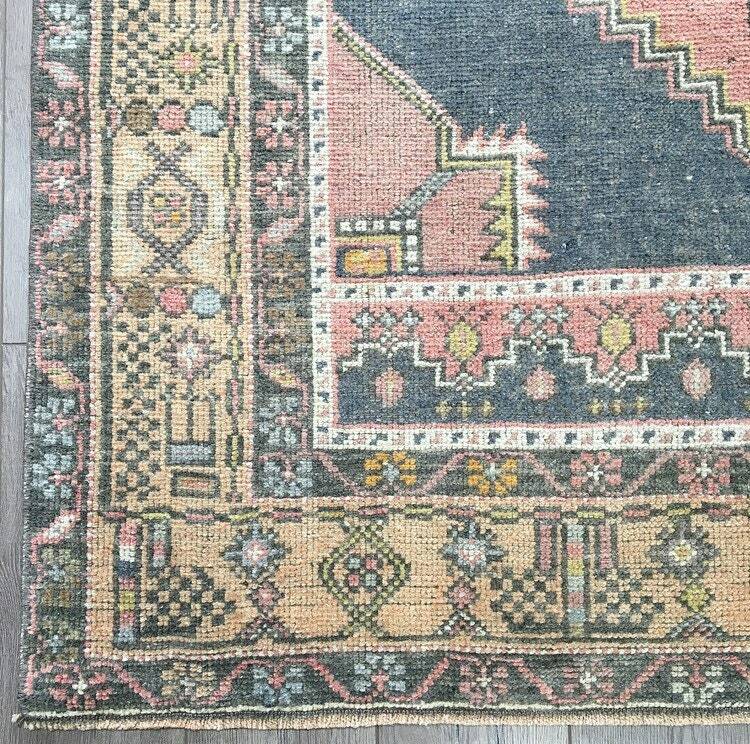 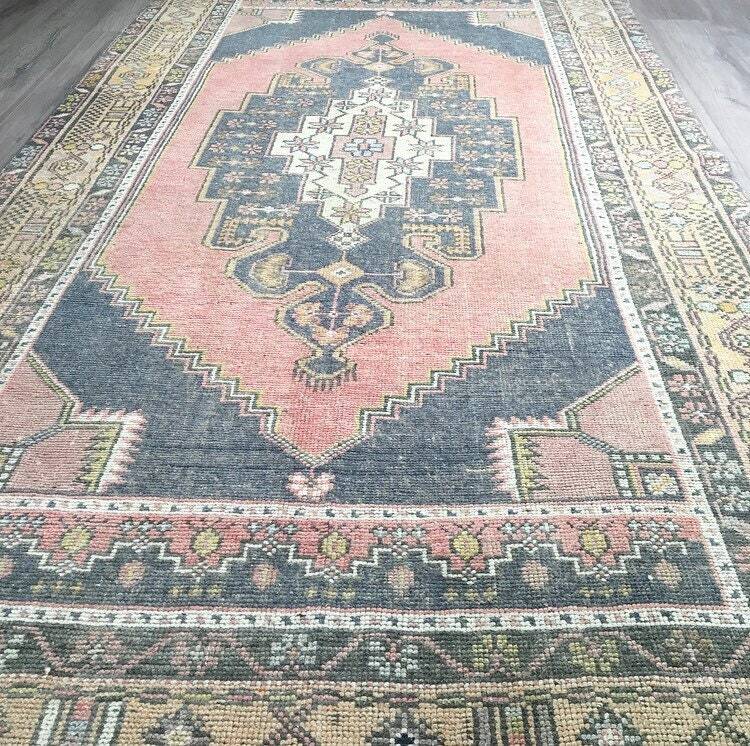 This is a beautifully preserved 1930s vintage Turkish Oushak rug in pink and navy with a beige border. 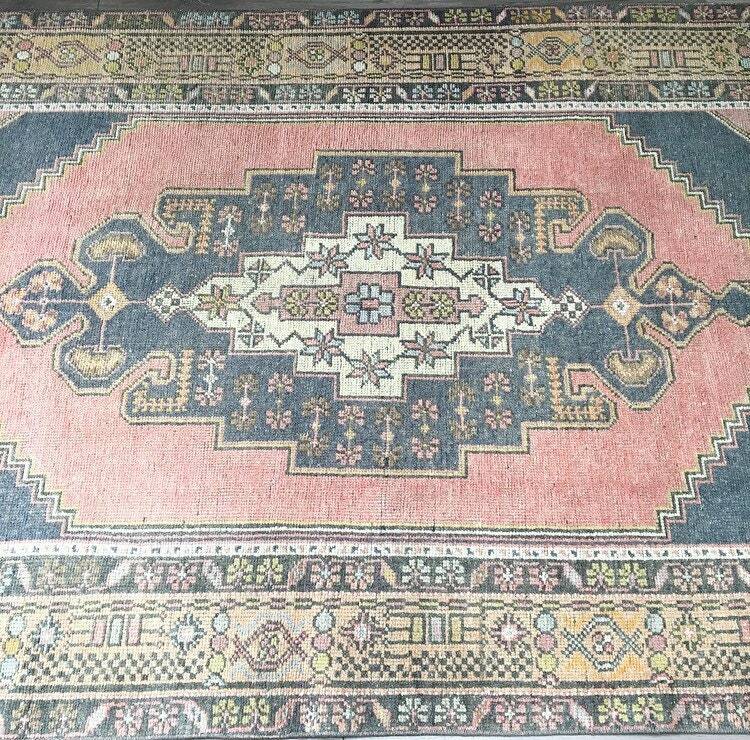 A large navy and white centre medallion sits atop a deep pink field, with geometric pastel details around the beige borders. 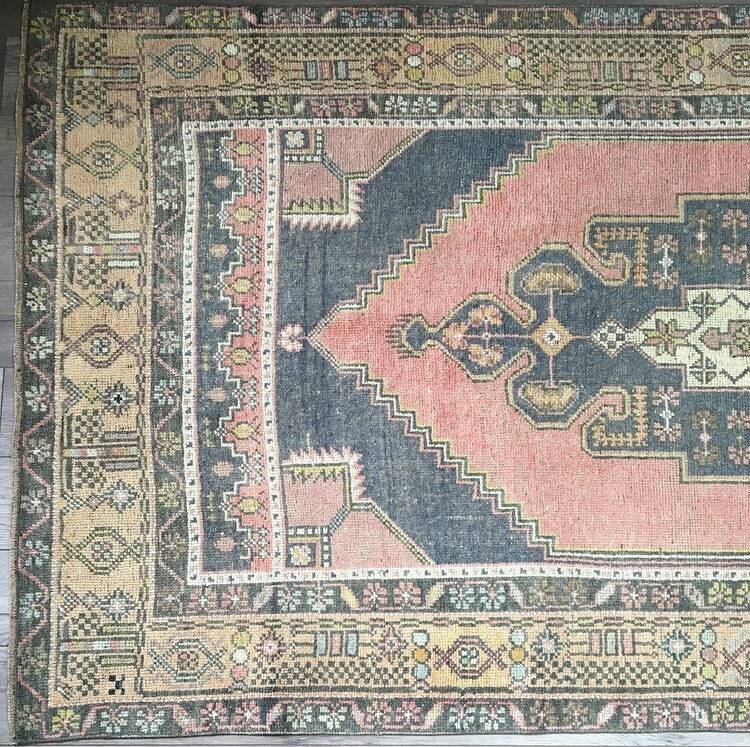 The initial overall impression is serious, but when you look at it a bit longer you start to see the whimsical detail and candy-like shapes. 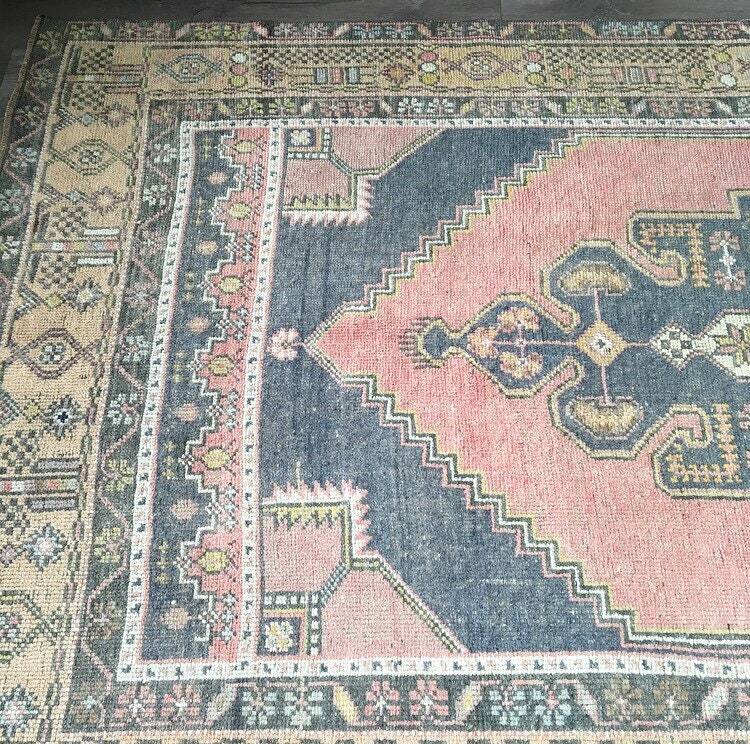 This rug is in excellent vintage condition with no holes or patchwork, and very little wear.